Janet Napolitano and the UC Office of the President (UCOP) have failed to sufficiently implement transparency reforms, which include the implementation of documenting the use and reallocation of funds, nearly a year after the April 2018 deadline to do so had been set, according to a report by state auditor Elaine Howle released last Tuesday. Howle set the deadline after releasing the 2017 audit finding that Janet Napolitano’s office had set aside $175 million in reserves without notifying the UC Board of Regents. That amount included $32 million from campus-paid fees that otherwise could have been allocated towards students. 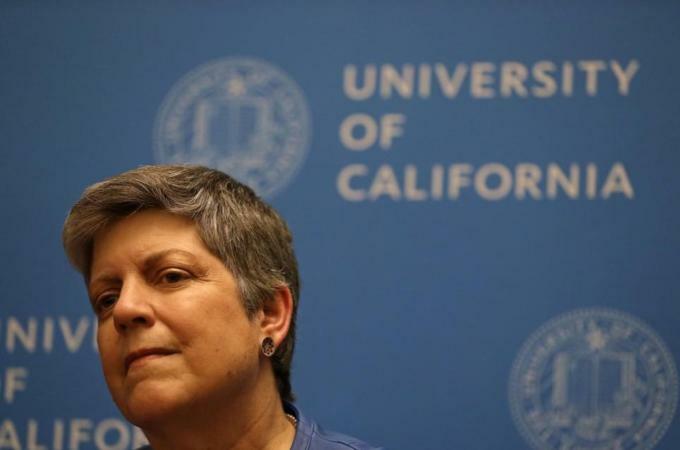 These funds were put on reserve by Napolitano despite the UC Regents having considered votes to increase tuition on numerous occasions, the latest a potential $342 increase in May 2018. She later went on to break down the $175 million, explaining how $83 million are restricted funds going to UC programs and initiatives, $87 million are unrestricted funds, and $5 million are unrelated to the UCOP fund balance. Despite her defense of the reserve fund, Napolitano agreed to implement some of Howle’s recommendations in regards to the way funds were dealt with, including publishing fund restrictions, commitments, and funds eligible for reallocation, and to develop a policy in regards to the reserve fund. These changes were set to be met gradually every April from 2018 through 2020. As of February 2019, the implementation of these changes has been slower than Howle would have liked. While the deadline for the initial changes had been set for April 2018, Howle has no authority to implement any repercussions on the UCOP besides further audits that work against the UC system’s public image. The discretion of these funds, or lack thereof, has contributed to the UC system failing to further its mission of being a university for California students. An article from the San Diego Union-Tribune published only 5 days after Howle’s latest report discussed how, for the 2019-2020 academic year, UC San Diego is for the first time projected to get more money from out-of-state students than from Californians. The practice of targeting out of state and international students to offset the reappropriation of funds by the UC Board of Regents and the UCOP has also been criticized by Howle. These audits by Howle provide an opportunity for the UCOP to implement changes that many people view as necessary for the quality of education provided. Punit Aswani, a second-year mechanical engineering student from Warren, said that the university has a responsibility to its students to provide information on where the money goes.